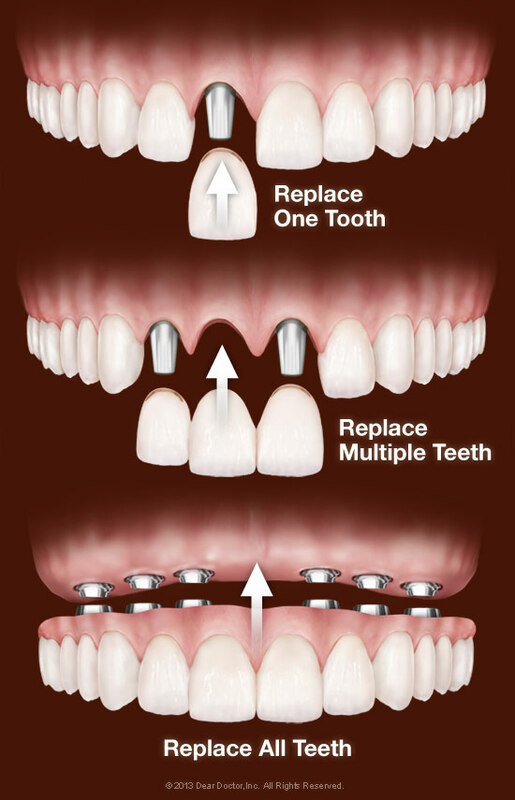 Missing teeth can now be replaced easily and effectively by dental implants. Through restorative implant dentistry, Dr. Oppenlander can replace areas of lost teeth with natural, esthetic and functional porcelain crowns. An implant is a surgically placed post that supports a natural looking tooth-colored ceramic crown.Dental implants are small titanium posts that replace the roots of missing teeth (View Example). By placing an implant where there is a missing tooth we are able to improve and maintain a healthy, balanced smile. The benefits of an implant are that it conserves tooth structure of the adjacent teeth and prevents bone loss or misalignment resulting from the loss of a tooth. Let us show you how easily this can be accomplished. 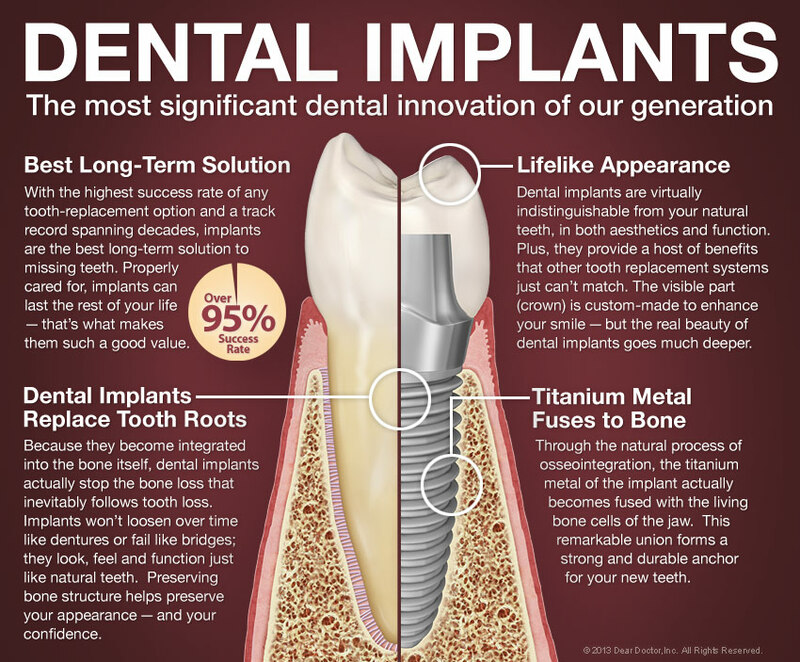 Interested in Dental Implants from Richard A. Oppenlander, DDS, PLC? Call our Portage, MI office at (269) 327-9332 today!